The month of November for VIDA! Health and Wellness was all about physical activity! What exactly does physical activity entail? How much and how often should children partake in physical activity? Our VIDA! children and adults learned the answer to these questions and so much more! 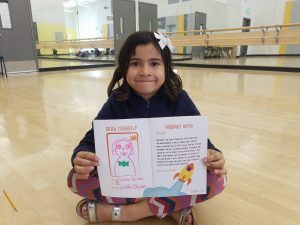 Continue reading to see just how much they enjoyed exploring the Healthy Galaxy and taking a visit to the planet of Physical Activity! 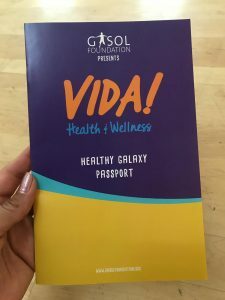 Just like previous sessions, the children began their classroom session by receiving their official Gasol Foundation passports. The benefits of working out with family and friends: on weekends you can play tag with your family, play sports together, go for a walk, or explore nature; at school, during recess and lunch, stay active by running, playing handball or jump rope with your friends. 60 is our magic number! : the significance of participating in at least 60 minutes of physical activity. computer, playing video games or watching TV. Once our VIDA! children had their passports, they were ready for takeoff! After their classroom session, the children then spent 60 minutes getting active with the help of our good friends at Youth Yoga! 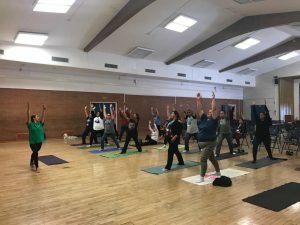 Youth Yoga is a nonprofit organization that exists to empower and inspire teens by giving them yoga exercises and meditation tools for them to grow into confident adults and successful members of society. All the kids had a great time learning new yoga poses and meditating! The session also provided an opportunity for those who had never done yoga before, to try it for the first time! In the adult session, our VIDA! parents had a great time learning all about physical activity. They learned that physical activity is more that just running, jogging, or playing sports. Being active includes any type of movement of the body that uses energy. This can even include things such as doing household chores, gardening, playing with your children, or taking the stairs. In other words, the more your heart rate goes up, the better the health benefits for your body! 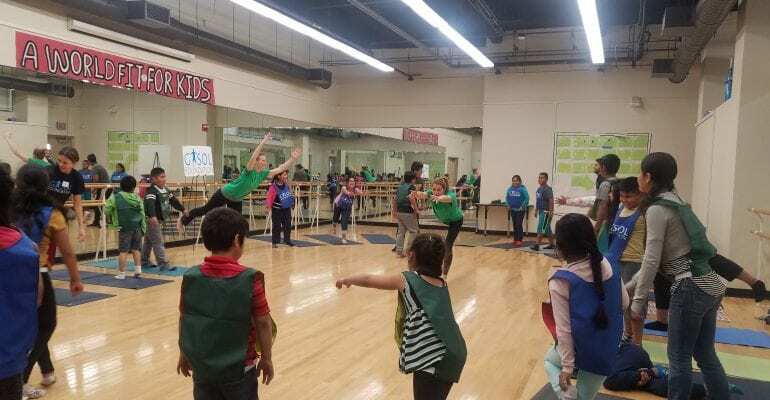 Through the session, they were able to identify the differences between moderate and vigorous physical activity, as well as the recommended physical activity per week for moderate or vigorous physical activity. Lastly, out VIDA! adults also participated in a 1 hour yoga session! As you can see, November Vida! was so much fun. Despite November VIDA! coming to a close, we hope that our VIDA! families will take all of the information they’ve learned about physical activity and exercise, and apply it moving forward! Vida! Health & Wellness is back!